Her December 14 calf by Armani is sweet! Next 5 dams all EX back to the great Roxy! Jane did it all in 2011. 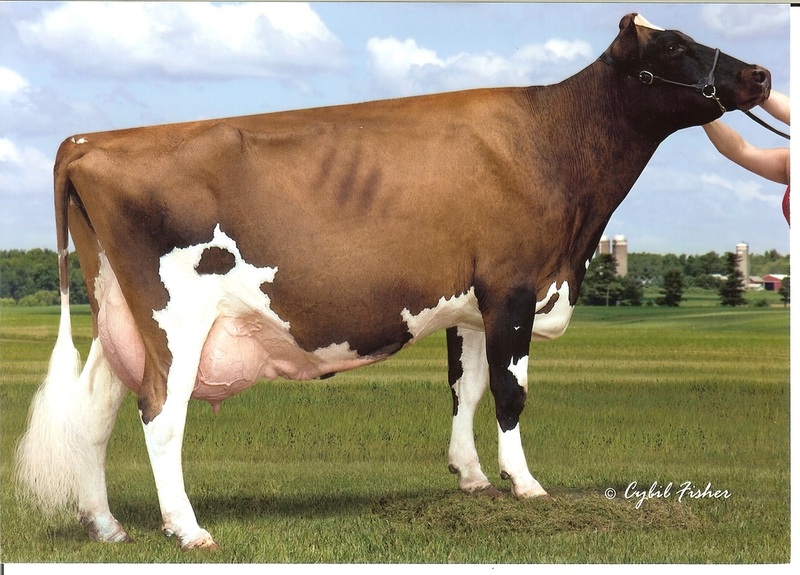 Her Milking Yearling by DePrince Red is ready for the fall! 6-10 2x 232 19,840 6.8 1347 2.9 584 Inc.
Wow! What a cow to breed from! A fifth Generation EX, Cherry continues to make the awesome kind! Now with 4 EX Daughters to date! 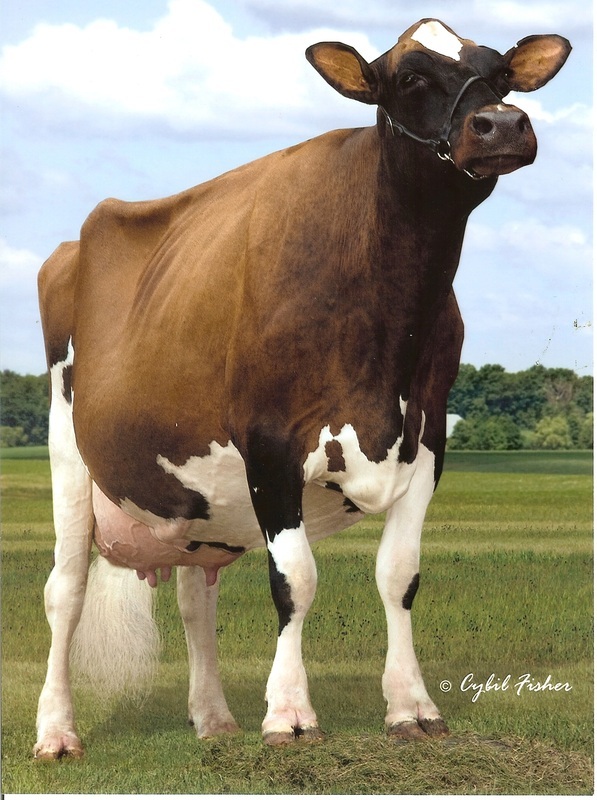 Her Polled red calves by Crown born 3/15 will be in the tag sale!